Professional Badminton Shoe -YONEX Power Cushion 03 -2017 | Khelmart.org | It's all about Sports. To improve the performance of Badminton player and to give best in class fit and comfort, Yonex added new Badminton footwear in 2017 catalogue .i.e Power Cushion 03 model. It is new and latest model in Year 2017 for advance badminton players. What’s New in this footwear? 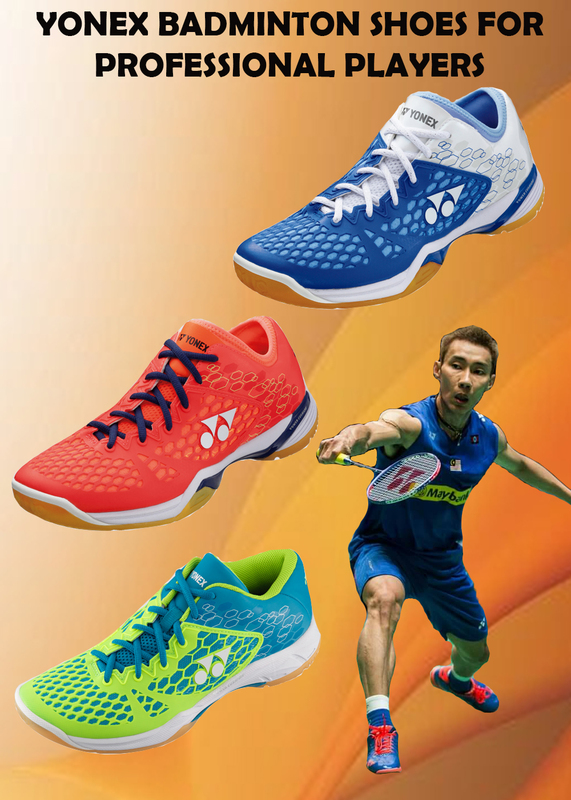 Yonex used breakthrough technology to develop the shoe with world class design concept. Innovative upper design concept (Spider Upper Design) , this series of shoe gives killer look on ground. 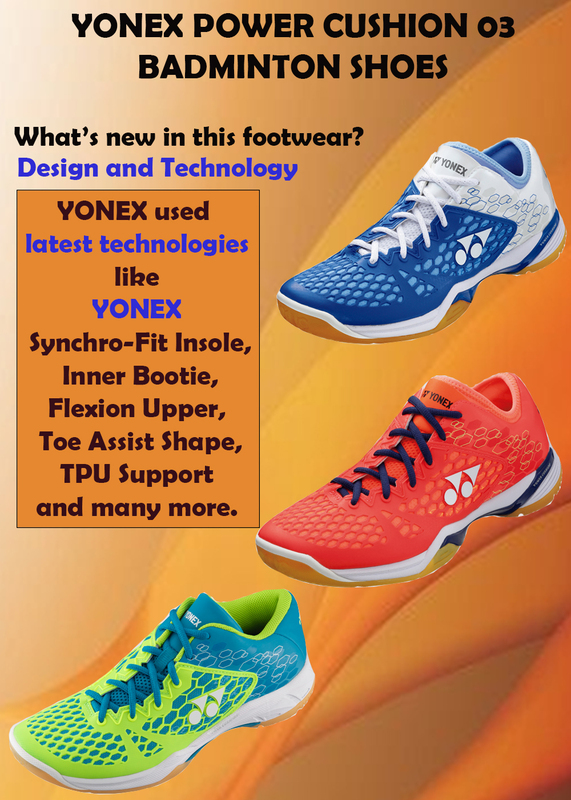 Further, YONEX used latest technologies like YONEX Synchro-Fit Insole, Inner Bootie, Flexion Upper, Toe Assist Shape, TPU Support and many more. It is a base mode in this series. Latest upper design concept which is inspired by Spider Upper Design gives a killer look to shoe. Yonex used high quality mesh material to upper which works as good air circulator to give perfect freshness during long badminton rallies. Durable skin is provided which offer better strength and perfect finishing. Its base color is blue and top of it lime color graphics are provide which gives a Unique look to shoe. 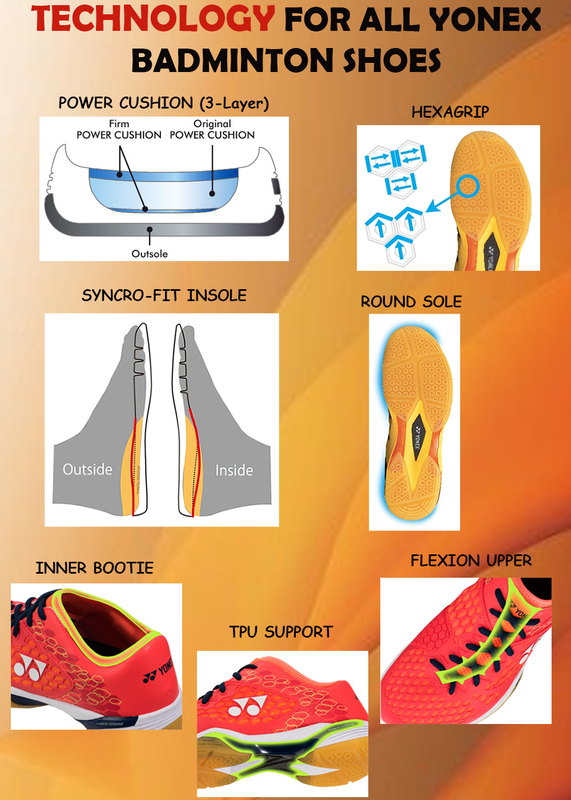 Syncro Fit Insole: In this new fit concept, Yonex work on two shape which gives better fitting and comfort to players. 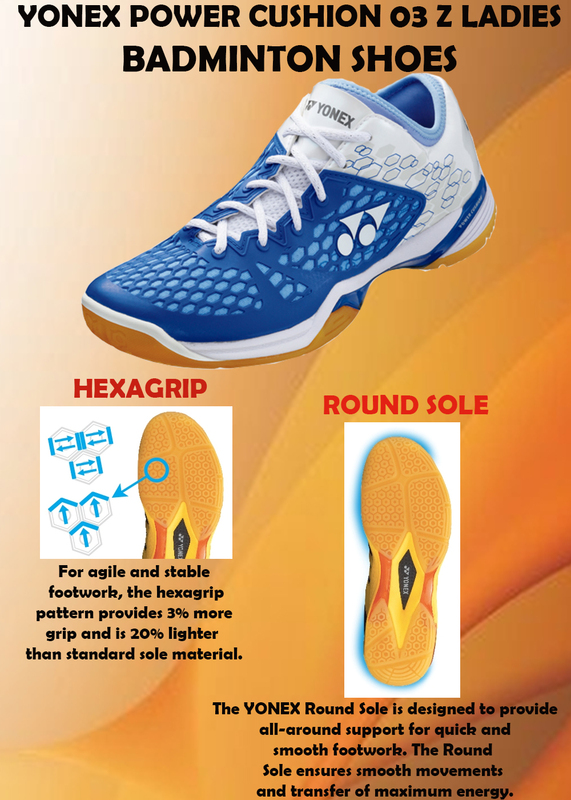 At Inside, Yonex used curve shape which gives better support to foot inside the shoe while at outer side gap between shoe and foot is reduced which eventually results into better comfort and performance. It is a scientific approach to adjust the gap between shoe and foot. 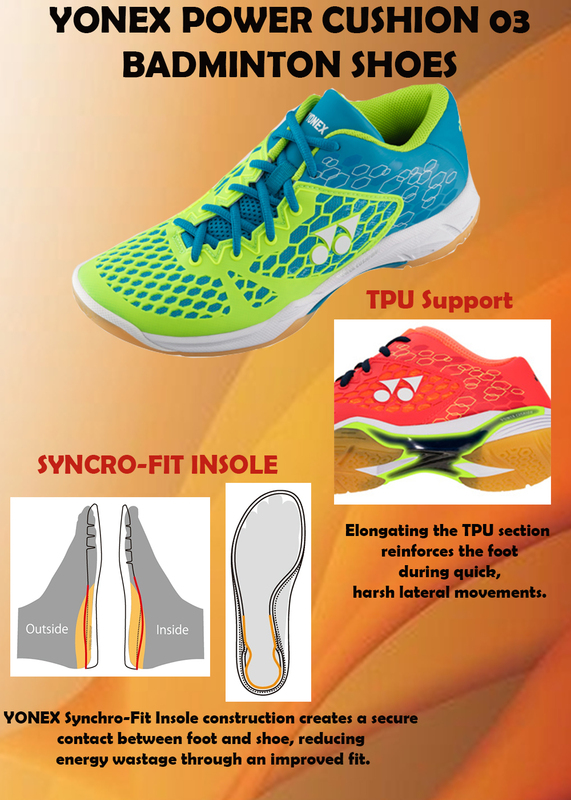 TPU Support at Outer Sole: Yonex used TPU support at mid and outer sole. With TPU support , players get stability during sharp movements. It is an upgraded version of power cushion 03 model. This shoe is basically designed for Men’s badminton players. Its upper design is also inspired by spider design concept which gives a unique look to shoe. Its base color is Red and spider like pattern looks good and attractive. Yonex used 3 layer power cushion technology in this shoe. Upper of shoe is made of PU while durable mesh is fitted to make it durable. 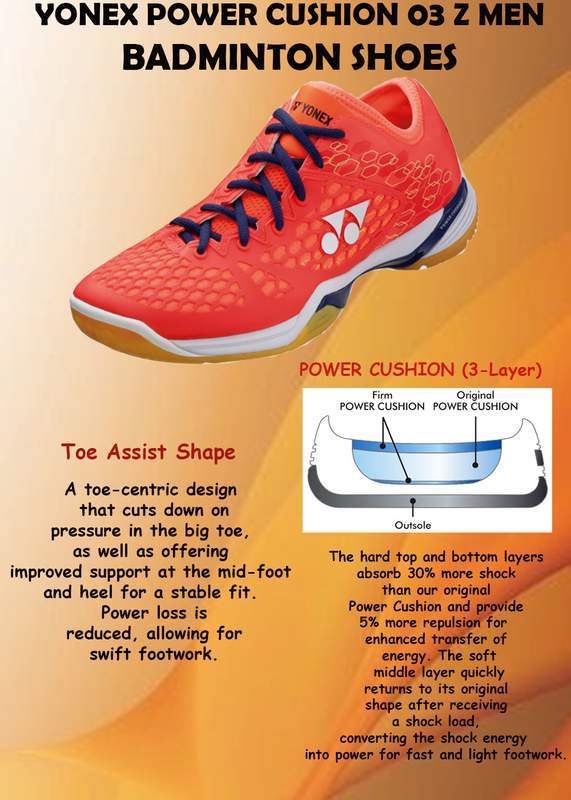 Toe Assist Shape: Yonex used Toe centric design approach in this shoe.Toe centric design approach gives better support at mid foot and reduces the power losses. With Toe centric design, player will get effective energy management and player will get maximum energy for Sharpe footwork. It is a upgraded version of power cushion 03 model. This shoe is basically designed for Female badminton players. Its upper design is also inspired by spider design concept which gives a unique look to shoe. Its base color is white and blue color spider like pattern looks good and attractive. This entry was posted in Badminton and tagged Images Of Professional Badminton Shoe -YONEX Power Cushion 03 -2017, Professional Badminton Shoe -YONEX Power Cushion 03 -2017, Technology of Professional Badminton Shoe -YONEX Power Cushion 03 -2017. Bookmark the permalink.